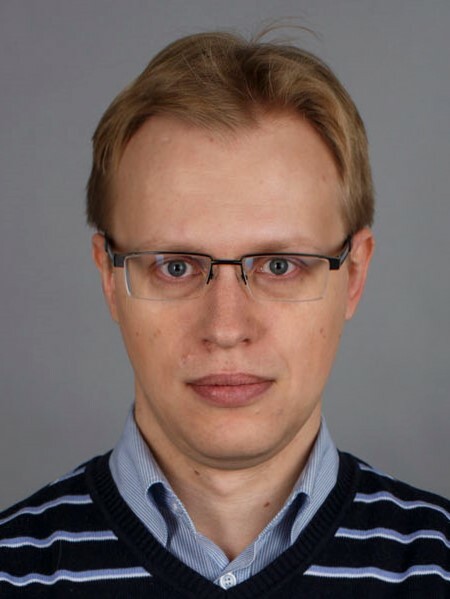 Evgeny has multidisciplinary expertise in numerical methods, mathematical modeling, computational fluid dynamics, and machine learning. In 2007, Evgeny graduated from the Mechanics and Mathematics Department of Novosibirsk State University, and in 2014, he received his Candidate of Sciences degree. After graduation, he joined the Russian Science Center of Baker Hughes, an oilfield service company, collocated with the Siberian Branch of the Russian Academy of Sciences in Novosibirsk. There Evgeny led and participated in projects that developed an automated system for optimization and control of the drilling process. These projects consisted of three parts: (1) development of models and algorithms describing complex hydrodynamic processes while drilling, and (2) systematic modeling of these processes, and (3) development of the machine learning algorithms for fast prediction of the key parameters. The studies involved Newtonian and non-Newtonian fluids, their laminar and turbulent flows, multiphase problems associated with efficient cutting transport and hydraulic effects in the long channels. As a result of the project, a computational core of a simulator of drilling hydraulics was developed and integrated into engineer’s software. Some results of this work related to modeling of non-Newtonian fluids flows in the turbulent regime were reflected in Evgeny’s Candidate of Sciences thesis. In 2015 Evgeny joined Skoltech where he is working on applications of machine learning to computational physics. Evgeny is working on the project led by A.Shapeev that is focused on development of machine-learning-based models of interatomic interactions. The main idea of the project is to apply machine-learning techniques for construction of interatomic potentials in a way that allows combination of accuracy and performance. In particular, Evgeny focuses his efforts on active learning and learning-on-the-fly of machine-learning interatomic potentials. Besides that Evgeny has a joint project with Center for Hydracarbon Recovery. The project is devoted to development of a simulator of drilling hydraulics for oil&gas industry. Podryabinkin E., Rudyak V., May R. Modeling of Drilling Fluids Flow in a Borehole for Drilling Optimization. Oil and Gas European Magazine. 2013. Vol. 39, No. 1. pp. 29–31. May R., Podryabinkin E., Tarasevich V., Bocharov O. Modelling of Pressure Fluctuations in a Wellbore While Tripping. Proceedings of the ASME 2015 34rd International Conference on Ocean, Offshore and Arctic Engineering OMAE2015. 2015. OMAE2015-41370.